Quinta da Romaneira is one of the largest estates in the Douro Valley, with a total of 412 hectares and 3 kilometers of river frontage on the river Douro. The vineyards are planted on terraces on the steeply sloping hills of the property: with many valleys and promontories, Romaneira contains several microclimates. All of Romaneira wines are made exclusively from grapes from estate vineyards. 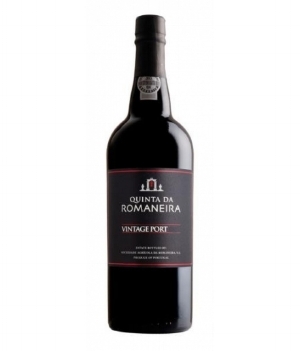 In 1757, at the time of the Pombaline demarcations, there were already vines planted at Romaneira. In 1844, Vilaça Bacelar, a priest, inherited the land of Romaneira, and did not escape the attention of Baron Forrester when he created his famous engraving of the “Rua Nova dos Ingleses” in Porto. Padre Vilaça Bacelar is among the few Portuguese characters to be included in this portrait of notable Port producers, surrounded of course by numerous English producers. In 1942, Arnaldo Monteiro de Barros acquired Romaneira, and integrated several neighboring Quintas into the estate. Romaneira as a result became an enormous property by the standards of the region. In 2004, Christian Seely turned a dream into reality, bringing together a group of investors to acquire Romaneira. A profound renovation of the vineyard and winemaking facilities was undertaken. Towards the end of 2012, André Esteves, the Brazilian businessman, became a partner at Romaneira. Today with two partners Esteves and Seely sharing the same passion for the Douro and the same dream for the Quinta, Romaneira is consolidating its position as one of the elite wine producers of the Douro. Christian Seely is also managing director of Quinta da Noval, Château Baron Pichon de Langueville, Château Suduiraut, Domaine de l’Arlot, Disznókõ Tokaji and more. Winemaker is António Agrellos who works with Christian Steely since 1993 (at Quinta do Noval) and has an active role at Romaneira since 2004.